Modern styles of living and financial demands requires that one protect against unforeseen circumstances down the line. 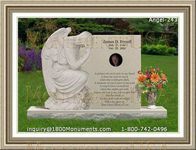 When planning funerals, the choice of cemetery plots is required to ensure that loved ones are provided the necessary services when facing death. It is important to implement research into the type of plot, location, and the costs involved. When taking time out to select a plot, it can prove difficult and is incredibly emotional. Having to face the reality of death is not a pleasant one, but it is necessary and can ensure that loved ones are protected financially while you receive a memorable service. There are a number of circumstances that will require an in depth assessment to prevent against the possibility of poor outcomes. Implementing research is required to purchase the right type of plots when having a dignified burial service. This will ensure that the correct measures are sought and provided by the cemetery. Taking the time to look at the graveyard and to assess the level of maintenance included can aid in making a more informed choice. The location of the plot must be considered before making a final purchase. The burial can be applied in the cemetery where previous family members have been laid to rest. There is also the option of looking for particular cities and areas where the best possible service can be provided. One should determine the costs that are involved and the value that it can provide. 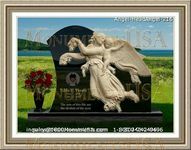 There is the option to purchase large monuments on a plot of land or a simple stone with burial details. 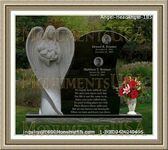 Cemeteries may charge for maintenance and such factors should be taken into consideration. In the selection of a plot, it is important to consider traditional or more eco conscious measures. 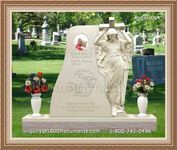 There are a number of sites that can be purchased and available by cemeteries. A thorough evaluation of these sources can assist in choosing the best possible means for the future of your family and personal needs.